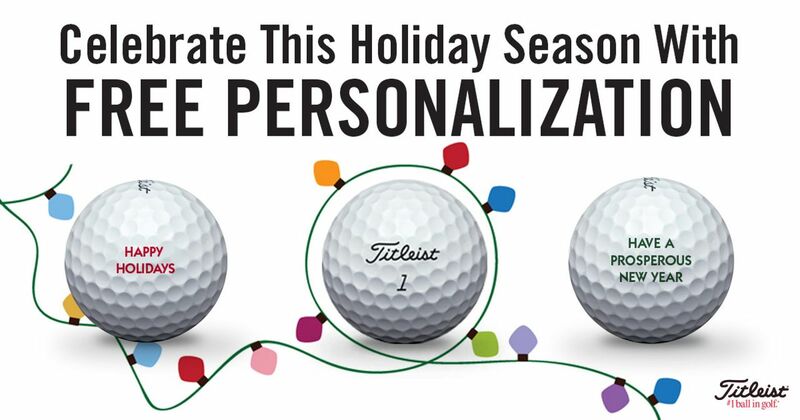 Last week Fairway Magazine’s Peter Mumford highlighted 10 popular golf gift ideas for the upcoming holiday season. While all of those items would be fantastic purchases for a golf lover you know, there are still so many accessories and pieces of equipment that are currently trending and would make great gifts. Through ClubLink’s online store, many of these gifts are available and can be delivered right to your doorstep with free shipping. While the shop is full of great gifts, these are the top 10 holiday gifts that are extremely popular and available with the click of a button. Whether you want your name, your signature, a quote or anything else you can think of engraved on your golf ball, Titleist can provide that to you for free with the purchase of a dozen balls. With prices ranging from $29.99 to $63.99 per dozen, there are options available for all budgets. Order your balls and receive your free personalization here. Keep your game alive in the winter with the JEF World of Golf Pop-Up Chipping Net. Perfect for both indoor and outdoor use, this chipping net is 24" round, features two target zones and is extremely easy to both set up and put away. These nets are currently available for just $24.99. Order your shipping net here before they are sold out. If you know someone who collects golf balls, JEF World of Golf's 25-ball display cabinet is the perfect gift. With a sleek design and the ability to be mounted to a wall, it is perfect for both a home or an office. Spoil a golf lover you know with this great gift, and you can buy it here for only $29.99. This Golf Trunk Locker/Organizer is a perfect gift for a golfer who is frequently on the move. It features easy-access storage compartments with room for all of your important gear and equipment, and is currently 50% off. Any golfer will gladly accept a good caddie. Of course, caddie availability just isn’t what it used to be. But isn’t this where technology can step in with a solution? Thanks to Voice Caddie and the VC200 Voice GPS, every golfer can have their own caddie. For a one time fee of $149.95, give a golfer you know a reliable caddie for life. Designed for golfers who enjoy listening to music while they play, the Puma Soundchuck Wireless Golf Speaker is a great gift that can be used both on and off the course. For a limited time, this speaker is on for $89.95 - down roughly $90.00 from the sticker price of $179.99. Find out more and take advantage of this great deal here. While we highlighted a chipping net earlier, we have a larger net to tell you about. The JEF World of Golf Hitting Net allows for golfers to practice hitting their drivers and irons, essentially giving them an indoor driving range for only $99.95. For golfers that don't want to destroy their carpeting and/or do not want to damage their clubs, a driving and chipping mat is available for an additional $99.99. While golf balls may not be the most creative gift, they will always be one of the most appreciated. For a limited time you can save $19 on a dozen of TaylorMade TP5 golf balls - the perfect stocking stuffer! Get more information and place your order here. Golf bags are usually quite expensive, so many golfers avoid buying new ones. On now, the TaylorMade FlexTech bag is available for just $119.95, down from its original price of $239.95. Every golfer will gladly accept a new hat, and you will not a find a better deal than this. Titleist Tour Mesh Collection hats are currently on for just $19.95 - order your hat at this unbeatable price before they are all gone!